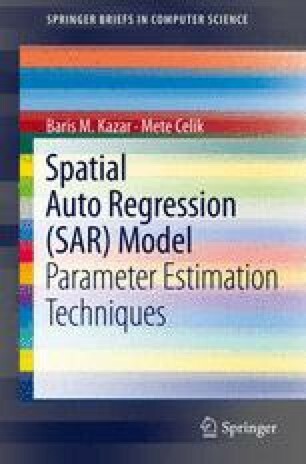 The spatial autoregression (SAR) model [18, 31, 57] is a generalization of the linear regression model to account for spatial autocorrelation. It has been successfully used to analyze spatial datasets in regional economics, ecology etc. [14, 59]. The model yields better classification and prediction accuracy for many spatial datasets exhibiting strong spatial autocorrelation.